Bean sprouts usually refer to mung bean sprouts, but other legumes can also be sprouted. The sprouts are tiny, crunchy shoots of the beans used to add crunch to salads and stir fry dishes. Mung bean sprouts have a naturally nutty flavor. 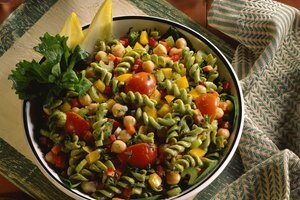 Few other foods match the crunchy texture and delicate flavor of mung beans, but substitutions can be used depending on the recipe you prepare. Sprouted soybeans can stand in for bean sprouts. These have a stronger bean flavor than mild mung bean sprouts, though. You can use soybean sprouts in stir fries and other cooked dishes. Opt for young soybean sprouts with the tails just emerging from the bean. 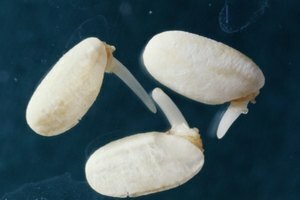 Long-tailed soybean sprouts taste bitter and can overwhelm the dish. Snow peas are entirely edible pea pods with small flat seeds inside the pod. 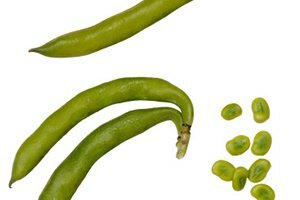 Thinly slice snow peas into lengthwise strips and add them to any recipe requiring bean sprouts. The shape and texture will be similar to bean sprouts, but the snow peas have an herbal flavor. Shredded carrots can also substitute for are bean sprouts, sharing the same shape but not the taste. Shredded carrots add a sweet flavor when used cooked or raw. Bok choi, napa cabbage or green cabbage, thinly sliced can also stand in for the crunch of bean sprouts. Substitute for raw bean sprouts with an equal amount of julienne cut bok choi, napa cabbage or green cabbage to the recipe. The greens cook down to half their initial volume, just as bean sprouts do. Look for bok choi and napa cabbage at Asian markets or in the produce section of large supermarkets. Enoki mushrooms are similar to bean sprouts in size and color. The caps of these thin mushrooms resemble bean sprouts and the mushroom stems resemble bean sprout tails. Look for enoki mushrooms fresh in the produce section with other mushrooms. Enoki mushrooms do not stand up well to cooking, but they will readily substitute for bean sprouts for a crispy texture in raw salads and sandwiches. These mushrooms have an initially mild flavor with a peppery finish. 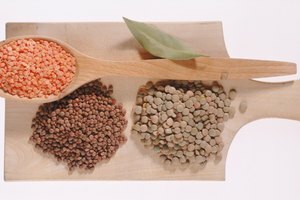 You can sprout your own mung beans. This process takes four to five days, but the sprouts will remain fresh in the refrigerator for up to two days if wrapped in newspaper or paper towels. Soak mung beans overnight in water. 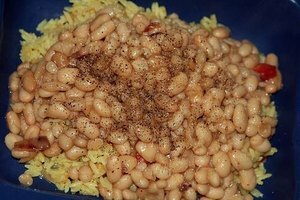 Drain the soaked beans and spread them out on a damp towel. Cover the beans with a damp paper towel and leave them in a warm, dark place. Check the beans daily for three to four days, changing the damp paper towel each time.The mung bean sprouts are ready when you see tails sprouting from the beans. This same process can also be done with other fresh beans.